What would a new benefit package for the frail, known as intermediate care, cost? How could we pay for it? See next blog post. For the third time in a 50 years, it’s hip to talk about dying (except, perhaps, if you are in the middle of dying yourself). Interest seems to come in waves. First there was Elisabeth Kubler-Ross, whose book On Death and Dying, published in 1969, opened the curtains on life’s final act. Then came Sherwin Nuland in 1994, with How We Die: Reflections on Life’s Final Chapter. And now we have Atul Gawande with Being Mortal: What Matters in the End, along with several other important books, ranging from the Institute of Medicine report, Dying in America and, most recently, Angelo Volandes’ The Conversation, with its overstated subtitle, A Revolutionary Plan for End-of-Life Care. It’s good that we are talking about care near the end of life, and maybe this time the interest won’t sputter out before we actually do something to assure that all patients die with a minimum of pain and distress, in their homes if that’s where they want to be, and without unwanted medical technology. But what of the months and sometimes years before death, when so many people are neither robust nor dying, but somewhere in between? Patients and doctors alike seem to want a black and white world, where you either focus exclusively on prolonging life or you focus exclusively on being comfortable. It’s either the ICU or hospice. Even Susan Jacoby, in her trenchant book Never Say Die, advocates that doctors “do everything possible only if there is a realistic hope that I can emerge as a functioning, mostly competent human being. 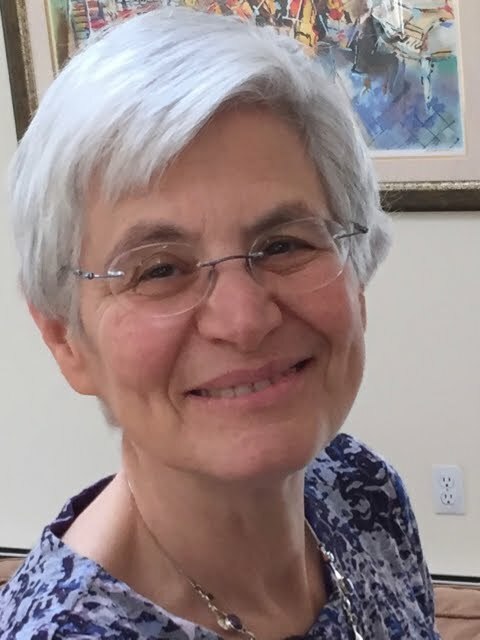 Then stop and let me die.” She moves the bar demarcating intensive medicine and comfort care—she thinks comfort care should begin before dying starts rather than after it has begun—but her world is still black and white. What I am interested in, by contrast, and why I write about people who are frail and people in the early and middle stages of dementia, is the gray zone. 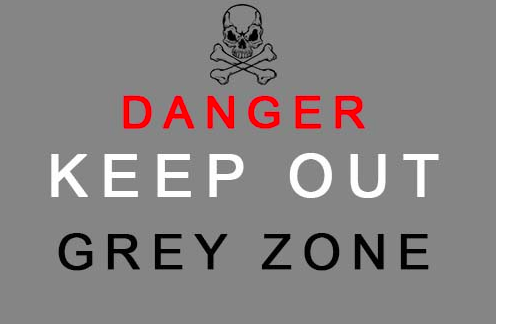 In the gray zone, people are not dying in any conventional sense. They are still living and may continue to live for some time—in the case of people with Alzheimer’s disease, perhaps even 5 years—but they have begun the final phase of their lives. They are beginning their final descent, as airline pilots so helpfully tell you a good half hour before you reach your destination, but won’t actually land for some time, and even then it will be a while before you arrive at the gate and can take off your seatbelt. Who is in the gray zone? Principally people with either physical frailty or cognitive frailty (dementia). People who have a serious, ultimately fatal illness such as congestive heart failure or kidney failure or a progressive neurologic disease such as Parkinson’s or amyotrophic lateral sclerosis (Lou Gehrig’s disease). 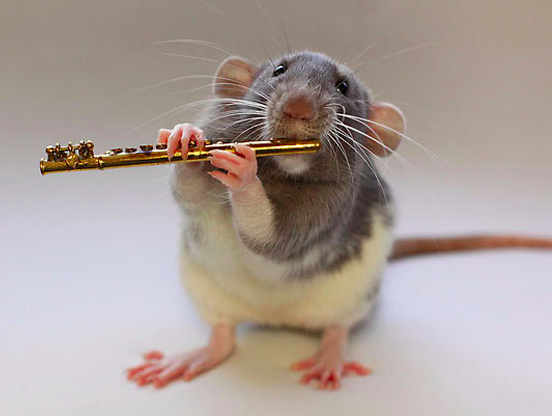 People who have a bad disease that will inevitably get worse and who have embarked on the spiral of relentless decline that will culminate in their death. What approach to medical care makes sense for people in the gray zone? Not everybody wants the same thing, but it is my belief based on clinical experience, scientific evidence, and common sense that most people who are physically or cognitively frail favor what I call intermediate care. This is care that is focused on maintaining whatever functions the person still has—activities such as walking, talking, seeing, hearing, and thinking. Preserving functioning is the primary goal of care. It may not be the only goal of care: people in the gray zone will often wish to live longer, but only if the treatments intended to achieve this end do not further impair their functioning. People in the gray zone usually want to be comfortable (doesn’t everyone? ), but they are willing to undergo some discomfort in exchange for the strong possibility of holding on to the functions they have. What does intermediate care look like? We tend to talk more about what it excludes than what it includes. It excludes attempted CPR—because people who are frail almost never survive attempted CPR and if they do, it is likely to be in a state of far poorer functioning than before the cardiac arrest. It excludes treatments such as risky chemotherapy and treatment in the ICU for the same reason: these medical therapies are seldom effective in prolonging life in patients who are frail and if they succeed, the price is usually a decline in function. What intermediate care includes is treatments that are intended to maintain function, things such as cataract surgery or hip fracture repair. It includes life-prolonging treatments such as antibiotics for pneumonia or transfusions for gastrointestinal bleeding if they can be accomplished with only a small risk of deterioration in the person’s ability to function. That means it may well include hospital treatment, up to a point. The distinguishing features of intermediate care are both the benefits it is likely to confer (better functioning, possibly longer life) and the burdens it is likely to avoid (decline in precisely those areas that the patient values most, whether mobility or cognition or some other domain of daily functioning). Intermediate care can be high tech or low tech: the issue is not the complexity or the cost of the treatment, but its effects. We need to let patients know they have entered the gray zone—if they mistakenly believe they will get better or they fail to realize they are dying, they will be unable to make wise choices about the kind of medical care that is right for them. We need to tell patients that there is such a thing as intermediate care and help them understand what it means in practice. The choices are not just between the ICU and hospice. There's a great deal in between. See post on Sunday for more. 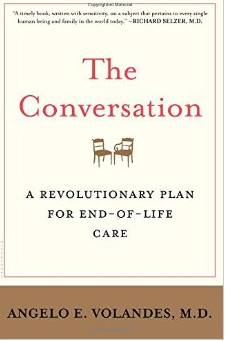 In his new book, The Conversation, my friend and colleague, Angelo Volandes, makes the case for using videos to help patients and their families understand what lies in store for them as they approach life's end. He quotes one of his patients—a working class Irish-American with advanced brain cancer: “if a picture is worth a thousand words, a video is worth hundreds of thousands.” And Angelo’s videos can be very helpful: they are designed to be clear, short and accurate, to show real patients with real diseases undergoing actual treatment for their illness. But the irony is that the power of this book, and it is powerful, is all in the words. Really? Are all choices equally good? In The Conversation, we learn about 10 patients, among whom 6 make explicit decisions about what kind of medical treatment they want, and 4 are unable to make decisions so the care they receive is what their families or their doctors recommend. Most of the patients in the book who make their own choices, either after watching Angelo’s videos or after going on a guided tour of the ICU or dialysis unit to see what lies ahead (nobody in this book thought about their preferences any time before the end was imminent), choose to focus on comfort; only 2 persist in their wish that the doctors “do everything.” And the 4 patients who did not participate in the decision-making themselves, all of whom underwent aggressive, sometimes “brutal” treatment in their last weeks or months of life, are presumed to have gotten treatment that they couldn’t possibly have wanted, had they only been engaged in the process of deciding. Consider the Italian matriarch who had a feeding tube and repeated courses of treatment for pneumonia after developing advanced dementia. She suffered mightily in her “last miserable weeks” of life, as did her family. Or take the elderly Ukrainian-American with lung cancer who underwent repeated attempts at CPR and assorted invasive procedures even though he had “one foot in the grave.” Young Angelo, the physician at the center of these resuscitative efforts, describes the treatments as putting “terminal cancer patients through torture.” The presumption is that if only these patients had known the truth about what modern high tech medicine does to dying patients, and if only they had then been asked what they wanted, they would have opted for comfort care. Physicians cannot force patients to accept our diagnoses and prognoses, assessments made based on scientific training and clinical judgment. We cannot require them to accept our recommendations for treatment. Nor, in contemporary society, can we withhold what we believe to be futile treatment as long as we are not 100% certain that it cannot possibly prolong life, even by a few hours. But we can do a better job informing patients and families of the reality as we see it so that they can choose wisely. Videos can help, but above all, so can stories, stories that acknowledge our mortality and capture the realities of advanced illness.The real power and the beauty of The Conversation stem not from its exhortation to have a conversation about preferences for end of life care, and not from its discussion of videos that can jump start the conversation, but rather from the stories themselves. A new book of stories, stories that will inform the way you write the last chapter of your own life. 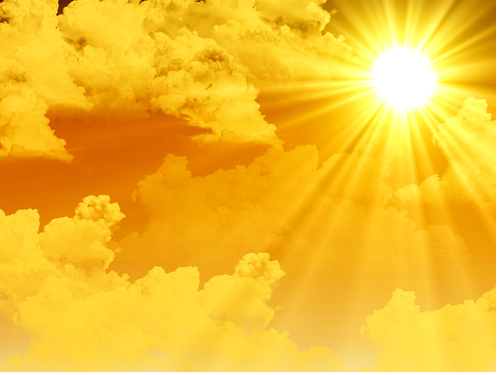 The Sunshine Act went into effect in September, 2014. It requires public disclosure of payments to hospitals and physicians by drug companies and device manufacturers. Is it working to limit inappropriate influence on physician behavior? Will it? See my blog posting this weekend.